What's so great about a .sydney domain? There are many advantages to choosing a .sydney extension. 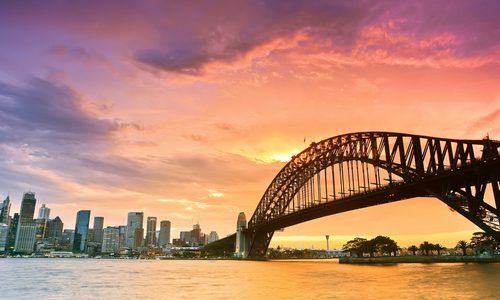 By allowing you to highlight roots within Sydney and indicate that you have prime real estate in a big city, your new domain name can help you connect with potential customers before they've even visited your website. A .sydney domain will also make it possible for people to locate you within a global market. This is particularly ideal for customers who would prefer to deal with a local business. It can also be valuable for building trust with customers who are wary about making purchases online. A gTLD domain that contains the name of a city is useful because customers feel familiar with it and they may gravitate towards .sydney compared with .net, which is a non-specific entity. Choosing to have a localised domain name also allows you to celebrate your local culture and helps you take on the positive associations of the area. Sydney is a thriving financial hub with a strong cultural and artistic scene – the kind of attributes any business would be happy to be associated with. Localised extensions may also contribute to SEO campaigns and offer positive impacts on rankings, as relevant URLs are just one of the things search engines evaluate when deciding how to rate a page. It's a good idea to register for a .sydney domain, even if you have an existing website. By owning the extension, you can stop your competitors from snapping it up and safeguard the domain for the future. That way, you can choose to change your domain at any time – or simply be confident that no other business can adopt it before you. You can even set up a redirect to seamlessly link your existing domain to a .sydney extension. Creating your new localised and unique URL with Netregistry is quick, easy and affordable. All you need to do is conduct a quick search to see whether your preferred domain name is available and then simply register your .sydney domain.